The deftly executed pen drawings accented with tinted wash illustrate scenes from the Old Testament, the lives of Christ and the Virgin Mary, and the Last Judgement. 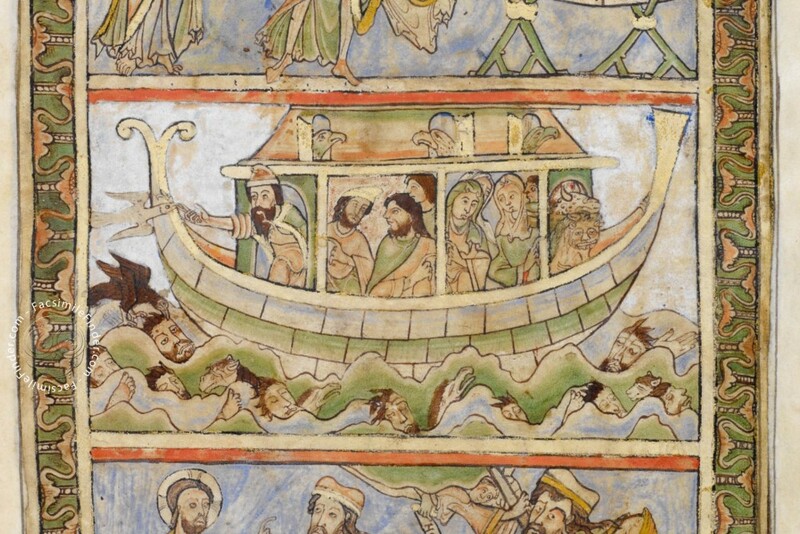 These paintings are ingenious and original in their overall design and execution, with powerfully characterized biblical figures stepping forth to tell their story, and make this manuscript remarkable in a century that produced a number of the most beautiful and memorable works in the history of English art. 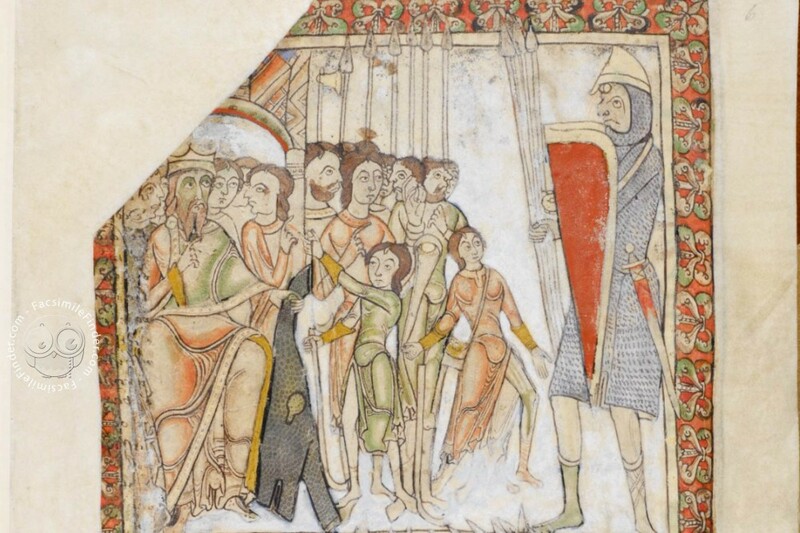 In case you missed it: check out the beautiful gallery of the Winchester Psalter and find out all the facsimile editions available on Facsimile Finder! 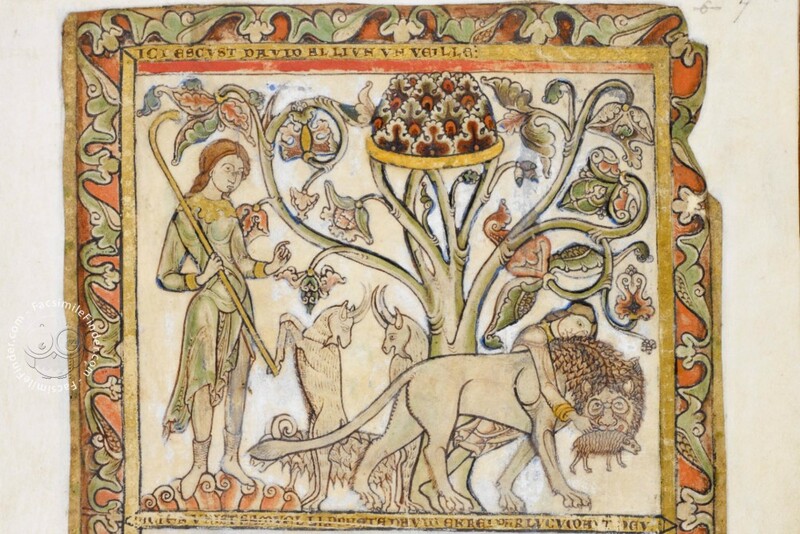 Considering the importance of the Psalms in medieval life, it is not surprising that they were copied out and produced separately from the rest of the Bible in a book termed a Psalter. The earliest extant Psalter dates from the sixth century and thousands were produced in the Middle Ages. Some were produced for public use in the Mass and Divine Office and others for private prayer and study, but only a small percentage of them were embellished with pictorial decoration: illustration was not an especially easy task for a non-narrative poetic text. One approach was to illustrate the words literally, but more often the illustrations were an amplification or commentary on the text. Portraits of David, often with his musicians, or scenes from his life were most common in early Psalters. One approach was to illustrate the words literally, but more often the illustrations were an amplification or commentary on the text. The Winchester cycle has a clear devotional bent, but this does not exhaust what it offers to the viewer. The selection of scenes and their execution not only assists in petitions for forgiveness but offers examples on how to lead a life worthy of forgiveness, and its opposite. In other words, the characters and subjects also become role models for appropriate and inappropriate behaviour. Those worthy of emulation include the gentle Abel, righteous Noah, faithful and obedient Abraham and Isaac, morally upright Joseph, capable leader Moses, courageous David, joined by the exemplary actions of Christ, the Mother of God, and the apostles. Against these are the disobedient Adam, Eve, and the population drowned in the Flood, the jealous, murderous Cain and Herod, the deceitful Devil and avaricious Judas, among others. Not only the subjects but the powerful characterisations of many biblical figures assist the viewer in separating out right from wrong. The submissive Abel receives a crushing blow from the snarling Cain. A fragile David overpowers the menacing, muscular lion and towering Goliath. Tiny, innocent children are ripped to pieces by monstrous soldiers at Herod’s command. 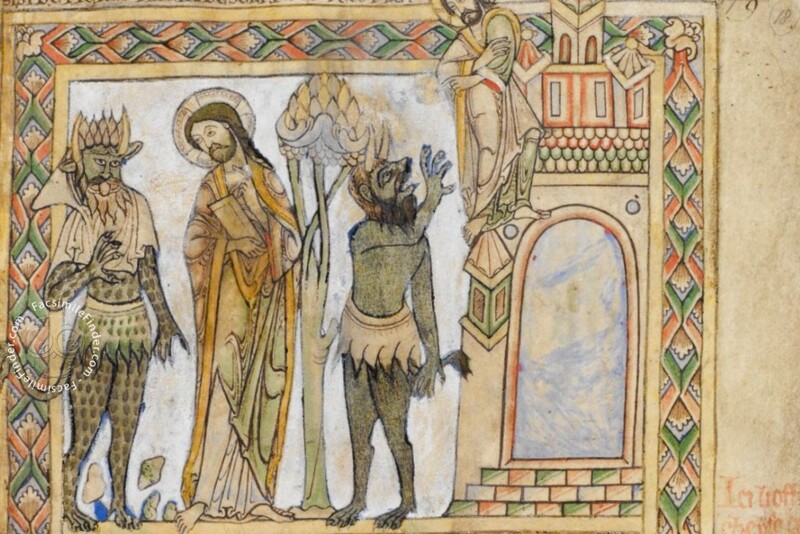 A heroic Christ leaps away from the Devil who is cunningly garbed as a woman, and elsewhere is tortured by subhuman figures replete with animalistic features and fangs. The rewards and punishments for these two patterns of behaviour are also clearly juxtaposed. 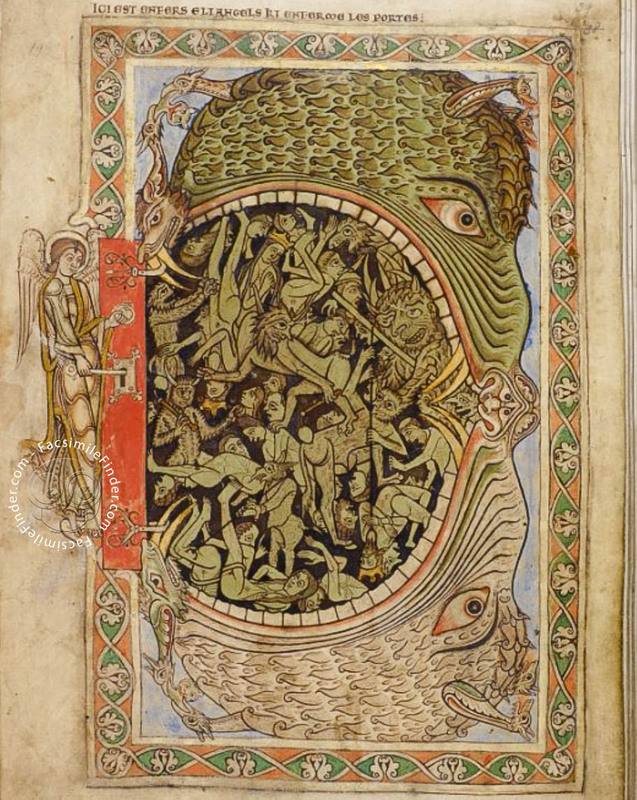 While this manuscript has long been termed the Winchester Psalter, it is worth exploring whether this is appropriate. Many artistic features do point to Winchester, which was the capital of England before the Norman Conquest, having two Benedictine monasteries and a convent of nuns. 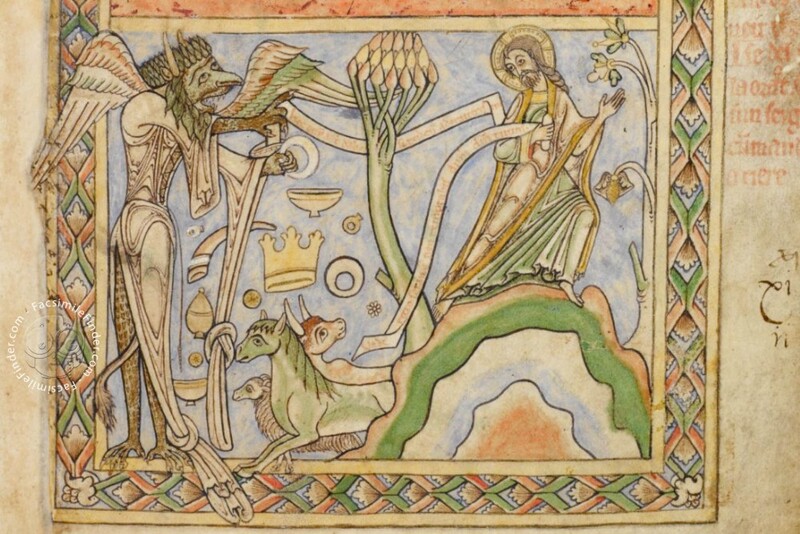 Both of the Anglo-Saxon monastic foundations produced illuminated manuscripts, but after the Norman Conquest activity at these scriptoria apparently ceased, since no illuminated manuscripts from Winchester survive from the late eleventh or early twelfth centuries. However, the situation changed around the middle of the twelfth century, when the Winchester Psalter was produced. This date is based on various considerations, including the absence from the calendar of the feast of Edward the Confessor, who was canonised in 1161. 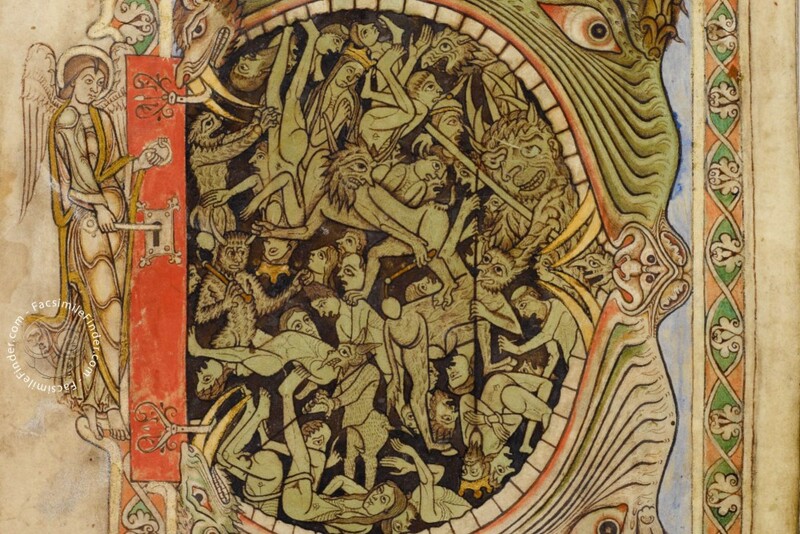 A number of scenes in this cycle are tied to Anglo-Saxon manuscripts produced or amended in Winchester, including two tenth-century manuscripts, the Aethelstan Psalter (London, British Library Cotton Galba A.XVIII) and the Benedictional of St Aethelwold (London, British Library Add. 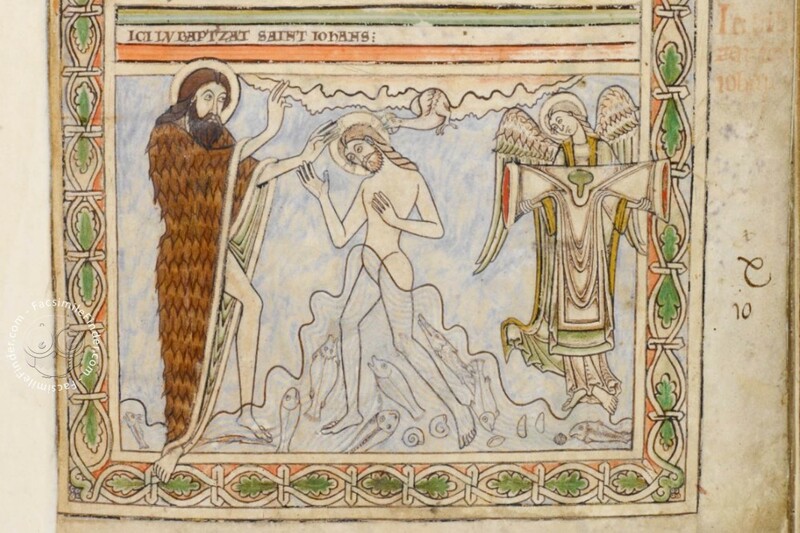 49598), the Tiberius Psalter and the eleventh-century New Minster Register (London, British Library Stowe 944). But who at Winchester suits the wording of this prayer to St Swithun and the nature of this manuscript more generally? 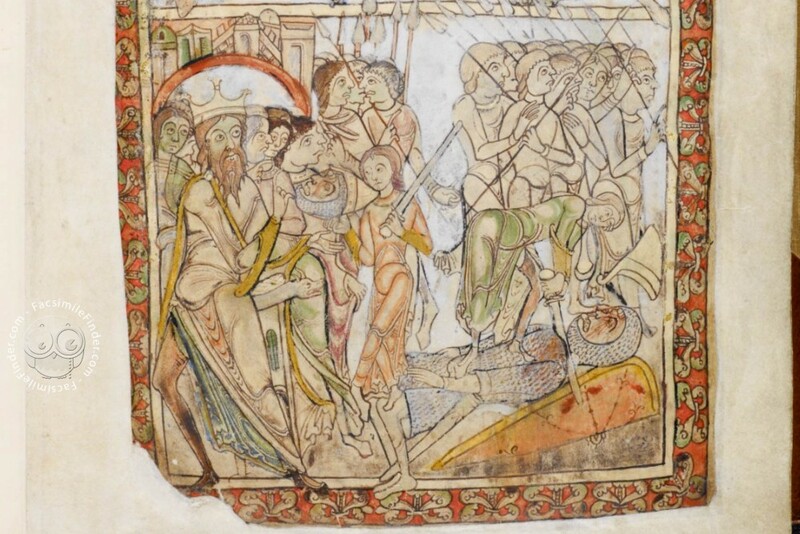 Over the course of nearly a century the Winchester Psalter has often been associated with Henry of Blois, a grandson of William the Conqueror who entered monastic life at the Benedictine monastery Cluny in France. He was called to England in 1126 by his uncle King Henry I to become abbot of Glastonbury, the wealthiest Benedictine house in England. He continued to hold this post when Henry I appointed him bishop of Winchester in 1129. Henry of Blois would remain active in affairs of Church and State until his death in 1171. 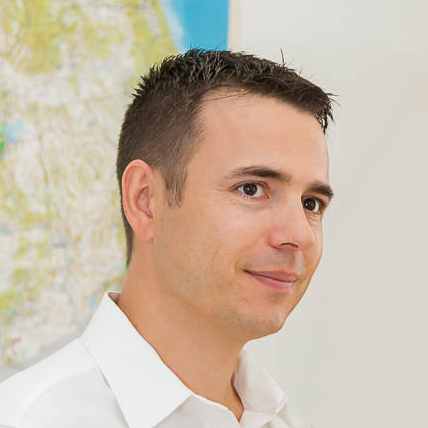 He was known to be an art lover, on one occasion buying ancient statuary in Rome. Professor Emeritus of Art History at UMASS and author of The Winchester Psalter: An Iconographic Study. A member of Phi Beta Kappa, she has also received both the Woodrow Wilson Fellowship and the National Endowment for the Humanities Fellowship. Text published by courtesy of The Folio Society. Kristine Edmondson Haney, The Winchester Psalter: An Iconographic Study, Leicester, Leicester University Press, 1986.